As frequent flyers, we know jetting off to far-flung locations can really wreak havoc on our skin. So we are always on the look-out for a product that helps keep us hydrated in-flight. We’re happy to report we’ve found it. 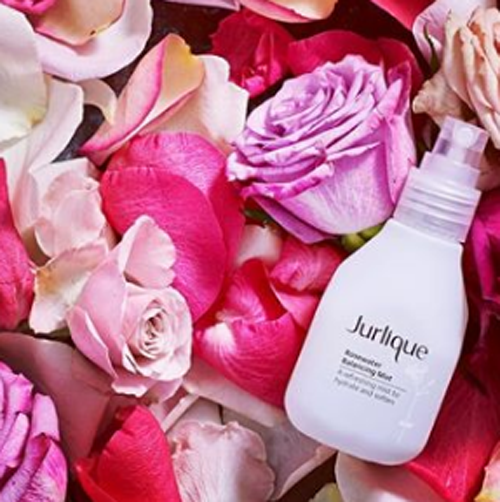 We caught up with Jurlique’s Regional Education Manager, Paula Provenzano to provide us with some quick tips and advice on how to stay hydrated through your flight with a quick spritz of their Rosewater Balancing Mist! How does flying take a toll on your skin? Your skin is a bit like a hothouse flower. 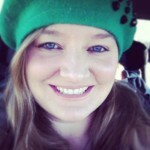 It likes humidity, and 40-70% is best for a comfortable dewy complexion. When you board a plane, the humidity drops to a mere 20%. As your skin attempts to compensate, moisture is pulled from the deeper layers of your skin. 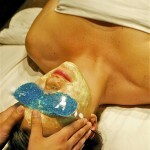 Tapping that “dermal reservoir” leads to a dehydrated complexion. This is true especially if you are on a long flight. What sort of things can you do midair to protect your skin? Facial massage may be something you typically assign to your esthetician, but a few minutes of self-massage can improve circulation and eliminate some of the puffiness that often comes as an in-flight bonus that we’d rather not have. Then, mist your face with a restorative dose of Jurlique Rosewater Balancing Mist—the perfect way to sneak in some in-flight refreshment for your skin. What are some of the biggest mistakes people make flying that can damage the skin? Many people drink their way to dehydration by either partaking in alcohol or loading up on caffeine. Both lead to systemic dehydration which is the opposite of what your skin needs. Load up on water before, during, and after your flight. Yes, it may mean more trips to the restroom but “holding it” isn’t good for you either. Those trips also give you the opportunity to wash your hands and give them a dose of a high-performance hand cream. Jurlique’s Rose Hand Cream is a favorite around the globe for instant improvement of dry, dehydrated skin. With a quick spritz of their of the mist, not only do we feel more hydrated, but the mist is also rich in Rose Essential oil and powerful botanicals (not to mention, it smells great) to enliven the skin. 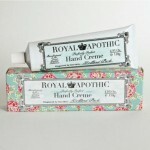 We also love their Rose Hand Cream. This rich cream is made from rose petals on Jurlique’s Australian farm and makes hands soft, supple, with a non-greasy finish. 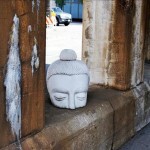 Disclosure: We get a commission for purchases or clicks made through links in this post.